tl;dr Venture financing hit a recent quarterly peak Q1 2014. This peak is due to a handful of late stage deals in a new pre-IPO environment. With the release of the NVCA / PriceWaterhouse Cooper MoneyTree report last week, a lot has been written about the state of venture financing. The focus of the response has been on the top line reported. “Venture capitalists invested $9.5 billion in 951 deals in the first quarter of 2014.” The comparisons drawn have been to past bubbles. A level deeper, the MoneyTree press release goes on to recognize that this growth didn’t come necessarily across the board. Software is leading the way from a sector perspective. More interestingly, according to the MoneyTree report data, the gains were from expansion and later stage deals. But by their nature, and the nature of the MoneyTree survey, early stage deals are underreported. To dig into this trends, we can look directly at public crunchbase data. 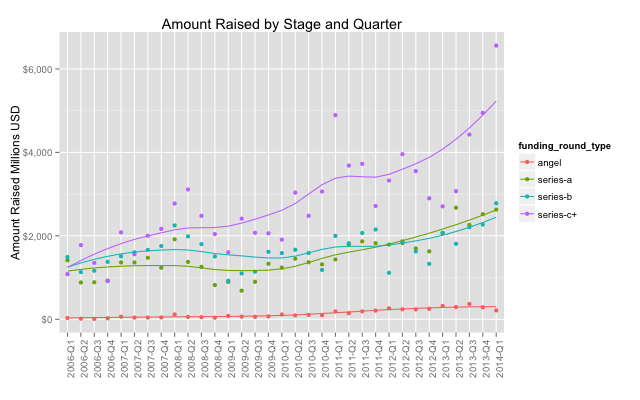 Amount Raised by Stage and Quarter. Decomposing the total amount raised demonstrates an increasing trend across stage. The huge increase in the quarterly amount raised is driven by companies having raised a series-C or greater. The last quarter series-C+ dramatically increased beyond their trend. Companies Funded by Stage and Quarter. 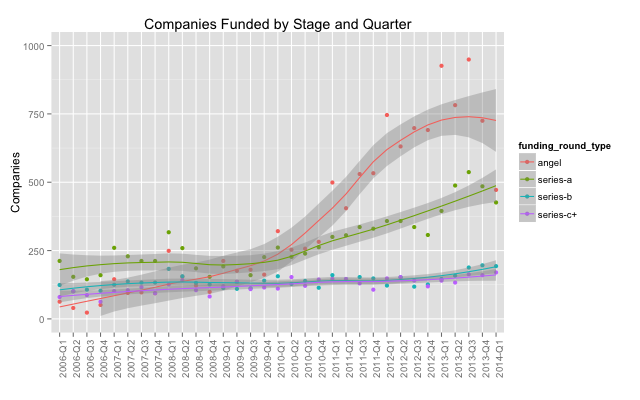 The number of companies that raised by quarter has very different trends by stage. Angel and seed deals grew dramatically from 2010 through 2013 but actually decreased in the first quarter of 2014. Anecdotally, I suspect this is due to a lag in the reporting of smaller deals and not a decline in funding. 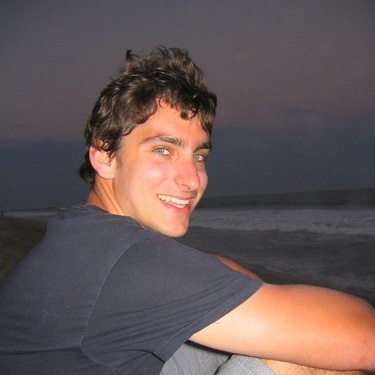 Series A deals lagged angel deals by greater than the 9-12 months needed to raise the next round, causing the publicized Series A crunch through 2013. Series B companies have begun an up tick but again lag earlier rounds. Tom Tunguz demonstrates this in his post The Hardest Round. Changes in capital efficiency and ease in company creation take a while to propagate through the venture economy. This new normal of pre-IPO trend also seems to continue as Airbnb raised $450M from TPG and T. Rowe Price in April 2014.